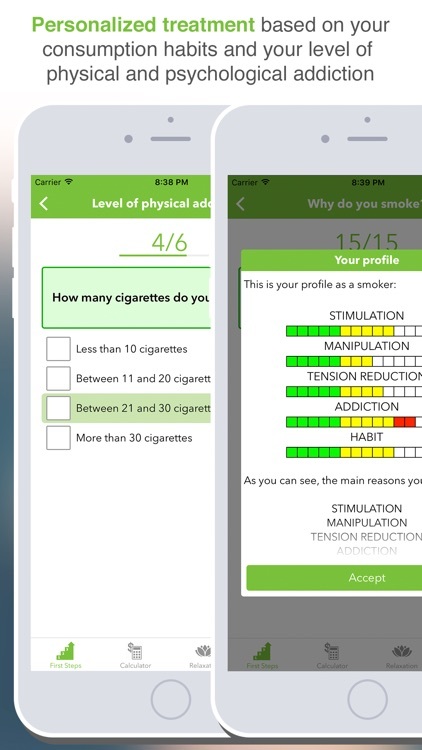 Unlike others, this application is NOT designed just to count cigarettes, days without smoking, money saved… nor do we bombard you with unpleasant photos of smokers’ lungs or other strategies that deep down you know DON’T WORK or aren’t an important enough reason for you to quit. - We tackle the two needs that have been created: psychological and physical. 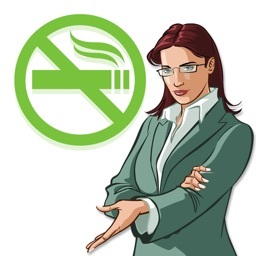 - We manage your ability to give up smoking by teaching you behavioural strategies and mental resources. 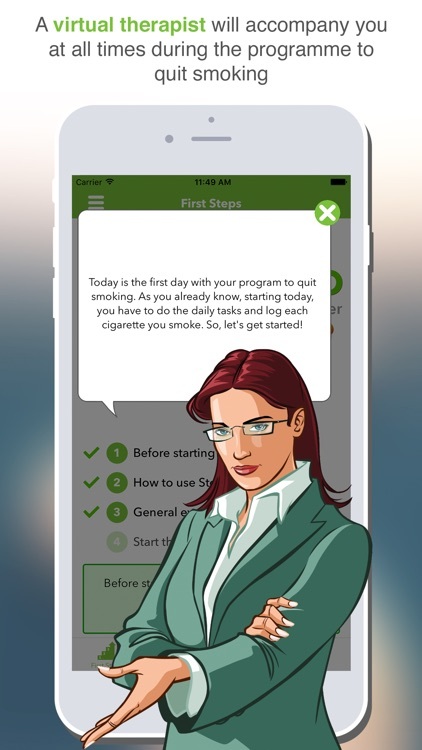 - You’ll strengthen your motivation to give up smoking. 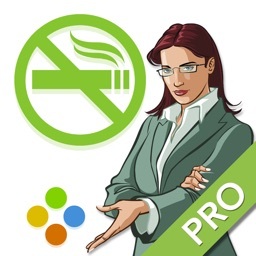 - You’ll learn to manage anxiety and control or modify your environment in this new stage of your life as a non-smoker. 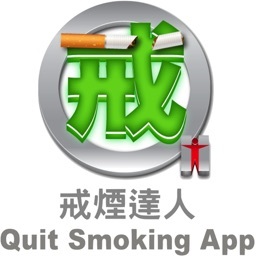 - You’ll be able to decisively confront difficult situations, especially in the days after quitting smoking. - The level of physical addiction (Faguerström Test). 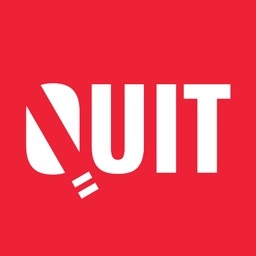 - Reasons for quitting smoking. 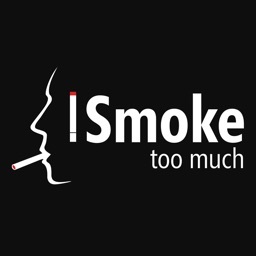 This information is used as the basis for developing a timeline tailored to the real needs of each smoker. For the physiological aspects of addiction, relevant guidelines are given so that, alongside consultation with a healthcare professional, the user has access to treatment that is appropriate for their profile. These tasks are aimed at modifying ideas about consumption itself as well as changing the habits that sustain it, such as controlling anxiety as a crucial symptom of abstinence and craving. The initial objective is to gradually reduce consumption in order to then be able to quit completely and prevent relapses. 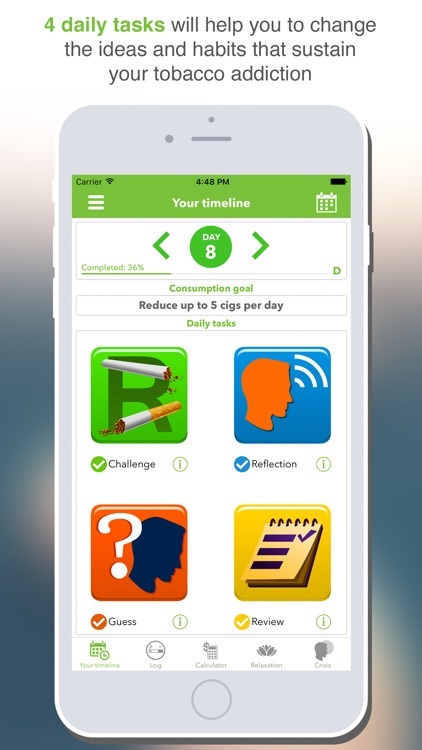 From day one, the user has to record every cigarette that they smoke, and they have to adjust to daily consumption goals. 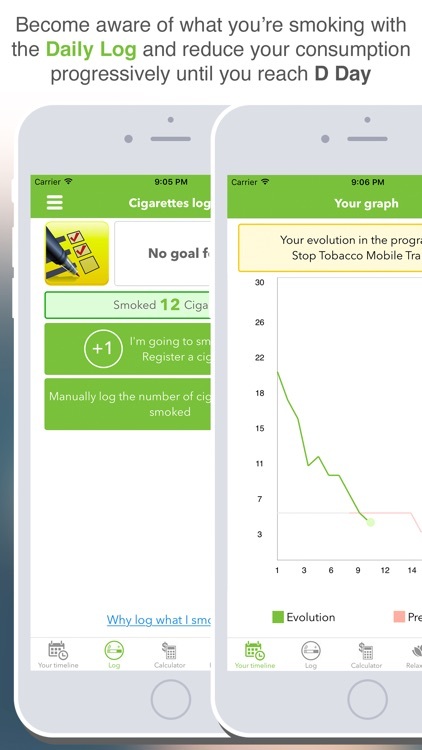 You can record every cigarette that you smoke using the application’s cigarette log, using a Widget or even your Apple Watch. 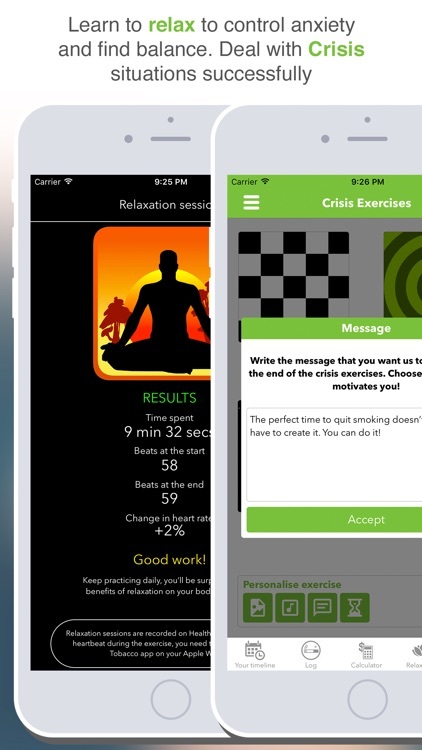 The application contains a complete guide to relaxation that will teach you simple techniques to relax and control anxiety. The Crisis section is for when you don’t want to smoke but you have a strong craving, especially after D Day. AppAdvice does not own this application and only provides images and links contained in the iTunes Search API, to help our users find the best apps to download. If you are the developer of this app and would like your information removed, please send a request to [email protected]padvice.com and your information will be removed.